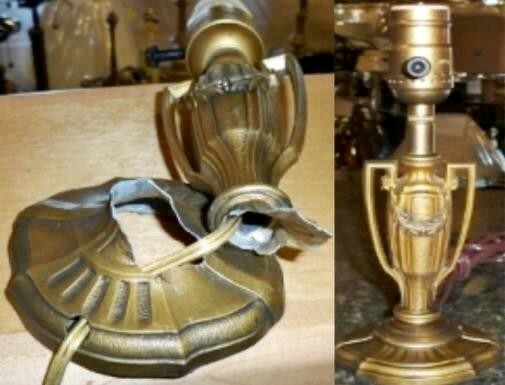 Comprehensive lamp repair and lighting restorations of every kind imaginable, Tiffany, slag lamps, lamp shades, lamp base, statue, structure, chandelier and pendant light restorations, glass repair and hand painting, lamp refinishing since 1975. 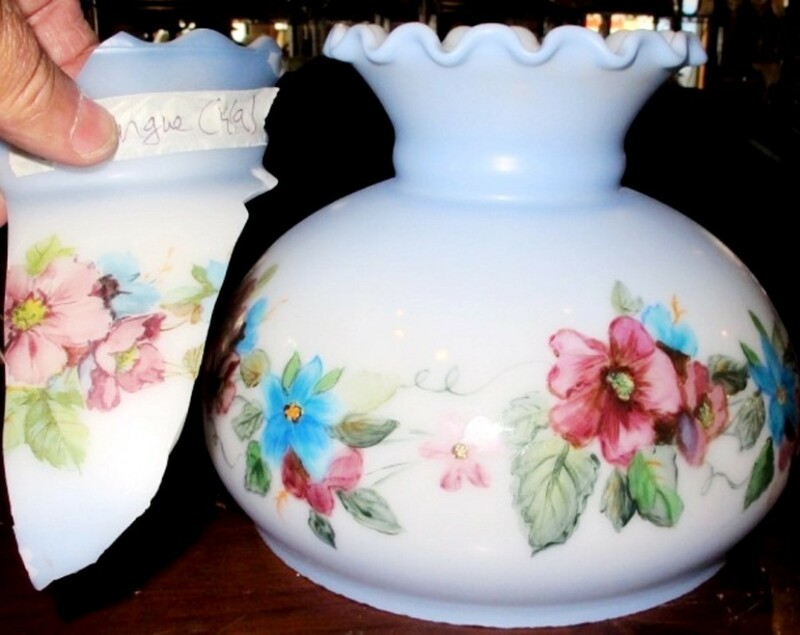 Our artists and craftsmen repair, rebuild and hand paint glass, metal, fabrics and mica on authentic antiques or modern lighting of all kinds including electric, oil and gas lighting. Email 1 clear photo along with a description of the repair you require and we will promptly respond with a cost estimate. A formal estimate document is available for insurance purposes and for third party verification. 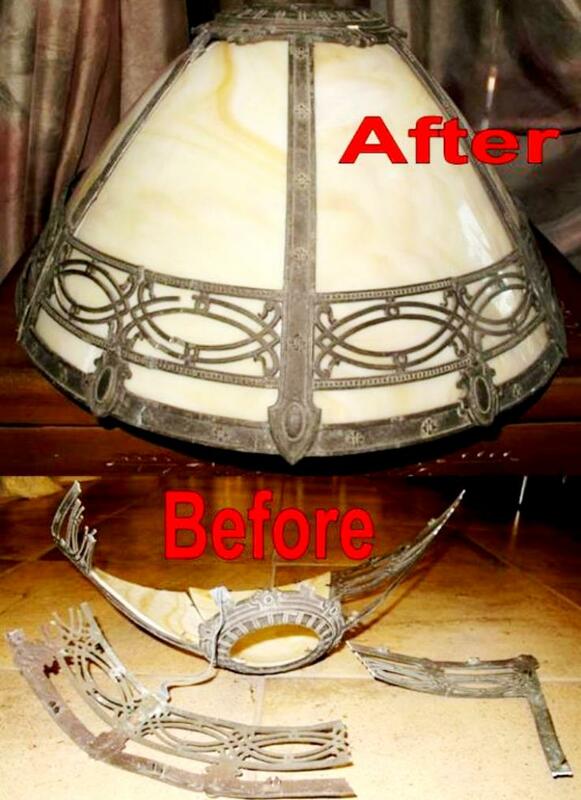 Simple lamp repairs are usually completed within a couple weeks. 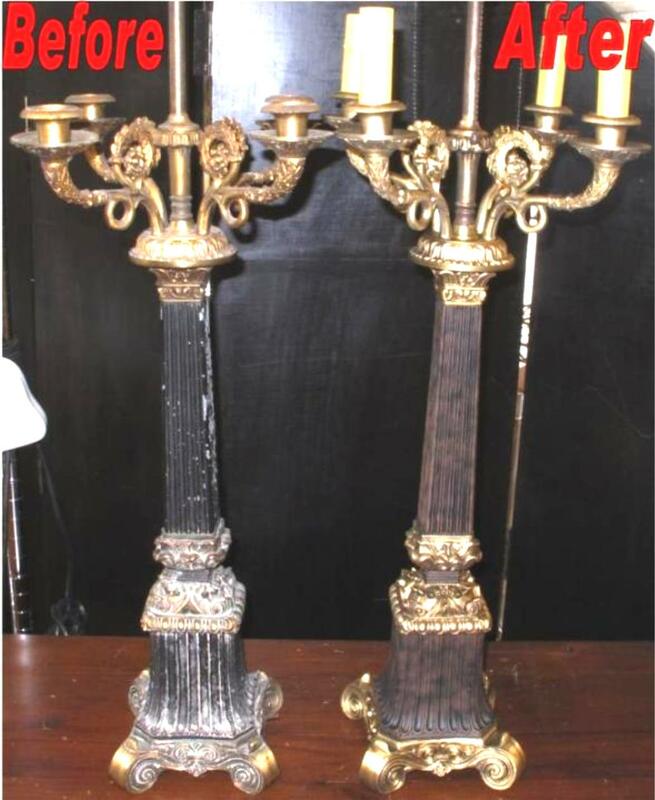 Complex lighting restorations may require up to 2-3 months to finish. 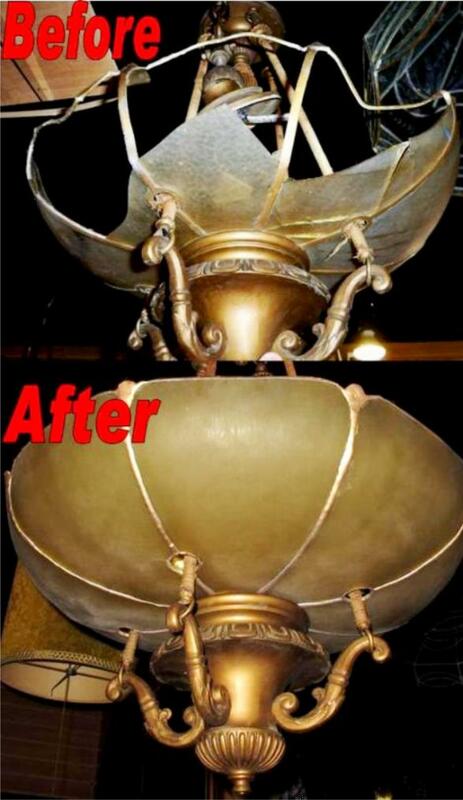 We really do love performing lamp repair work of all kinds. 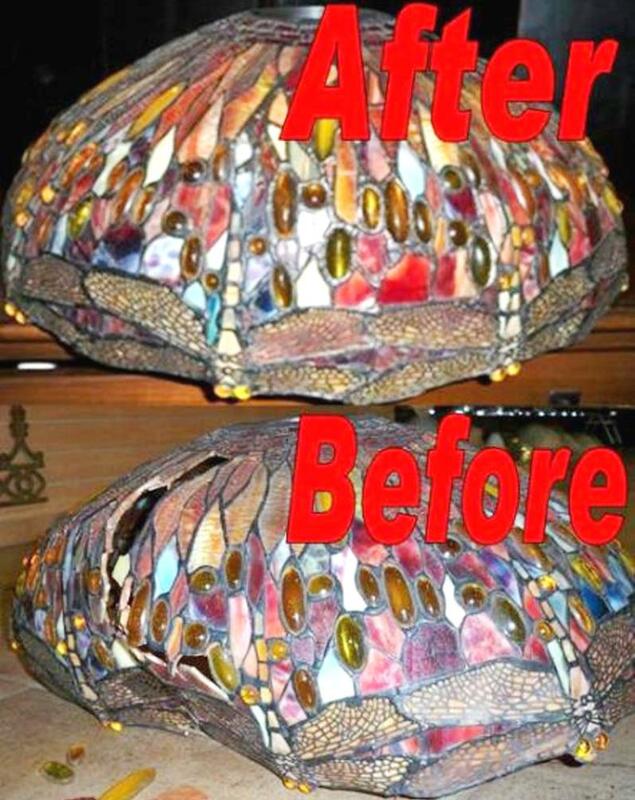 Our artists and craftsmen get a great deal of personal satisfaction from bringing new life into old worn out or even nearly destroyed lighting. Sometimes several of our employees will contribute their individual expertise on a single lighting repair project. Please feel free to call us for personal and professional assistance.